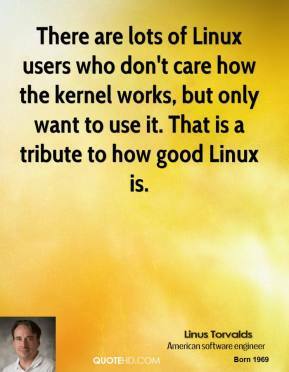 There are lots of Linux users who don't care how the kernel works, but only want to use it. 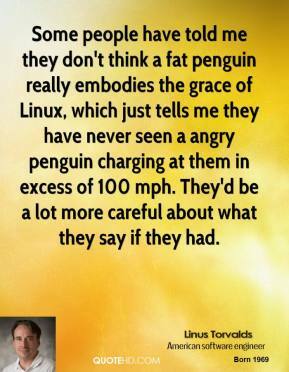 That is a tribute to how good Linux is. 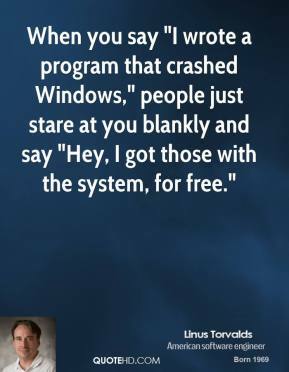 When you say "I wrote a program that crashed Windows," people just stare at you blankly and say "Hey, I got those with the system, for free." When you say "I wrote a program that crashed Windows," people just stare at you blankly and say "Hey, I got those with the system, for free.". 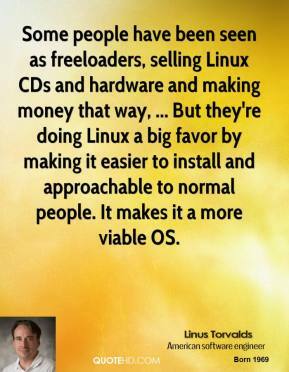 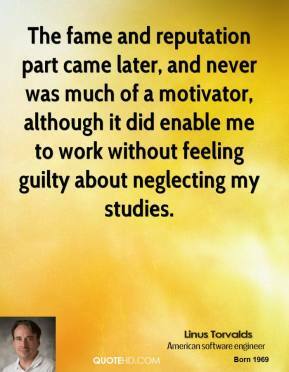 Some people have been seen as freeloaders, selling Linux CDs and hardware and making money that way, ... 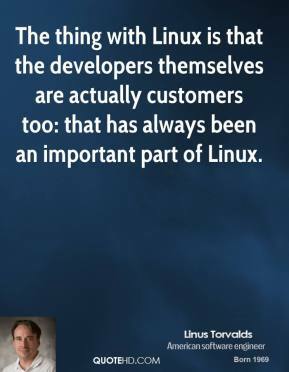 But they're doing Linux a big favor by making it easier to install and approachable to normal people. 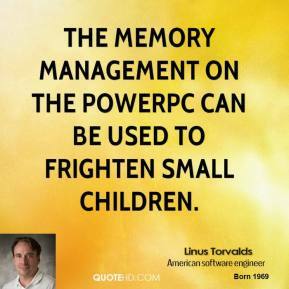 It makes it a more viable OS. 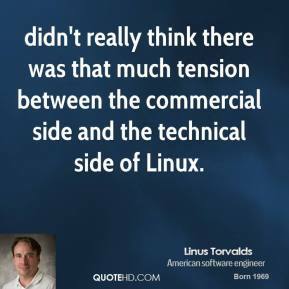 didn't really think there was that much tension between the commercial side and the technical side of Linux. 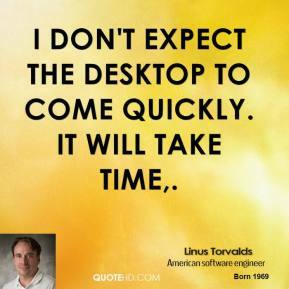 I don't expect the desktop to come quickly. 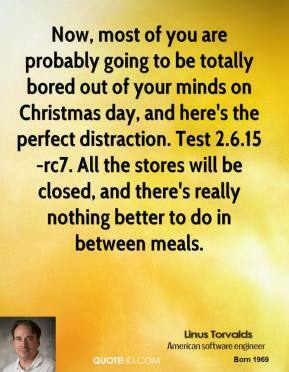 It will take time. 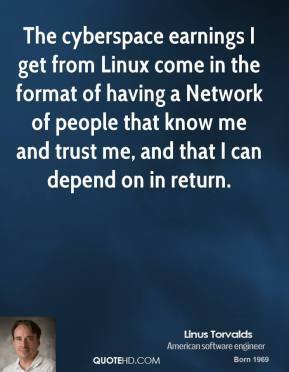 One of the questions I've always hated answering is how do people make money in open source. 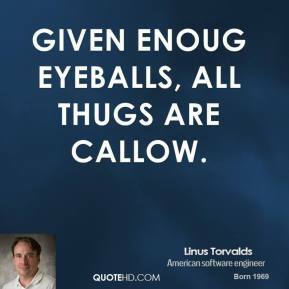 And I think that Caldera and Red Hat -- and there are a number of other Linux companies going public -- basically show that yes, you can actually make money in the open-source area. 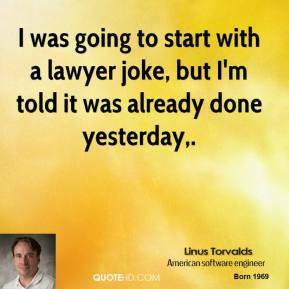 I was going to start with a lawyer joke, but I'm told it was already done yesterday. 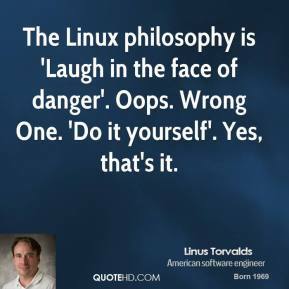 It just makes it even harder for people to even approach the (open source) side, when they then end up having to worry about ... public humiliation. 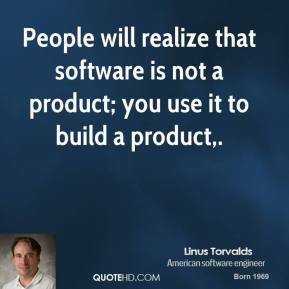 Often your 'fixes' are actually removing capabilities that you had, because they were 'too confusing to the user'. 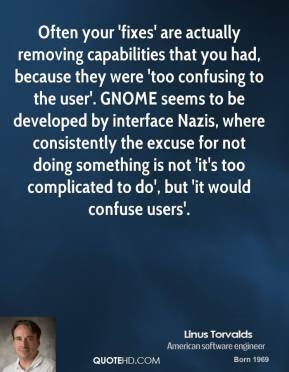 GNOME seems to be developed by interface Nazis, where consistently the excuse for not doing something is not 'it's too complicated to do', but 'it would confuse users'. 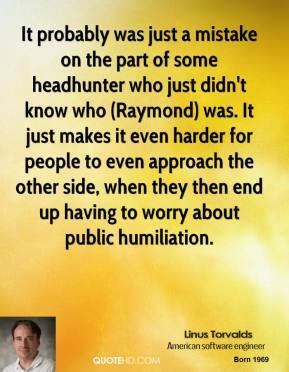 It probably was just a mistake on the part of some headhunter who just didn't know who (Raymond) was. 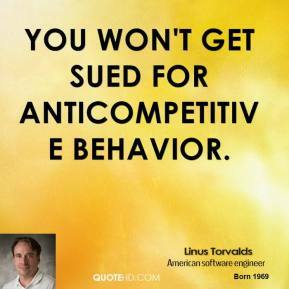 It just makes it even harder for people to even approach the other side, when they then end up having to worry about public humiliation. 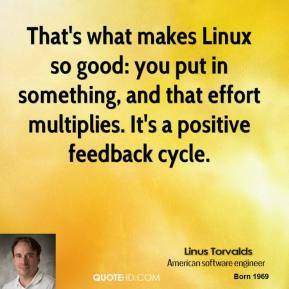 I don't use GNOME, because in striving to be simple, it has long since reached the point where it simply doesn't do what I need it to do. 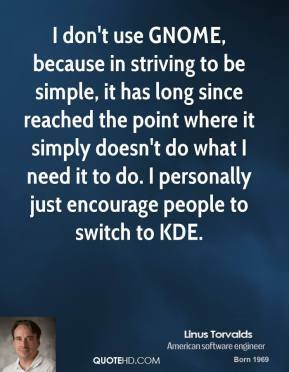 I personally just encourage people to switch to KDE.